Alexandre Desplat was born in Paris in 1961 and has a broader musical experience than many film composers. As a boy he studied Piano, Trumpet and Flute, winning several prizes during his music education. Despite this classical training, he has also performed with a number of Jazz and World artists. In the late 1980s his career moved towards film composing, and he scored more than 50 French and European films before his more recent move towards Hollywood funded movies. Following a number of English language US films, it was "Girl with a Pearl Earring" which really made Hollywood take notice of this composer. This is a tale woven around the famous painting by Johnnes Vermeer, and the music easily conveys a feeling of passion and obsession. The theme is reminiscent of Jerry Goldsmith's "Basic Instinct" or some of Bernard Herrman's work. This was quickly followed by his critically acclaimed score to "Birth" starring Nicole Kidman. This movie has an unusual story, and Desplat created suitably unusual music to accompany it. 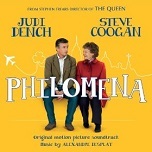 From a creative perspective the music offers many sections of the orchestra a chance to shine either with solos or small groups of instruments, though the abiding memory is the haunting minimalist line with flutes and celeste and the truly unsettling sub-bass which generates an almost physical response in the listener. Since then the composer has gone from strength to strength in terms of recognition. "Hostage" starred Bruce Willis and then "Syriana" with George Clooney and Matt Damon earned him a Golden Globe nomination. 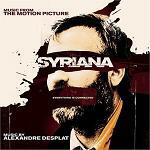 "Syriana" has a lot of suspenseful tracks, some driven by ethnic instruments and percussion. Two features that "Syriana" shares with "Birth" are the bass sound and use of solo timpani. Then 2006 was a bumper year with "The Painted Veil" earning Desplat the coveted Golden Globe award and The Queen giving him nominations from both Bafta and Oscar. The Curious Case of Benjamin Button is a unique film demanding an equally unique score to underpin it, and who better than Alexandre Desplat to create that kind of sound. The score is excellent and highly recommended, with the 2nd CD containing jazz and other tracks from the film. 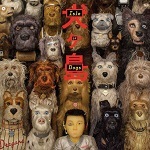 Hear some examples of Desplat's fun light score for "Fantastic Mr. Fox" at the official movie site. "The Ghost Writer" again proves that Desplat can switch genres effortlessly. The score could be described as a minimalist light version of Bernard Herrmann, but still very individual and bears repeated listening. 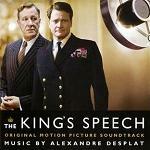 In 2010 Desplat had major films showing in some theatres at the same time - "Harry Potter and the Deathly Hallows: Part I" and also the multi-award-winning The King's Speech. Desplat has now scored the conclusion of the Harry Potter saga, with the Deathly Hallows book split into two films - see our article about the Music of Harry Potter. 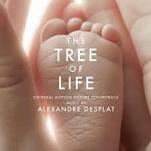 Following those Harry Potter films, Desplat has continued to be very busy indeed, with a whole host of films including Terrence Malick's The Tree of Life and the theme for "My Week with Marilyn" which was scored by Conrad Pope. Most recently, Desplat has has delivered some widely contrasting scores with the thriller "Argo", the animation "Rise of the Guardians", the oscar-nominated Philomena, the all-star action drama "The Monuments Men", the Angelina Jolie directed "The Unbroken", the wonderfully quirky The Grand Budapest Hotel, the quietly powerful The Imitation Game, and the blockbuster Godzilla. 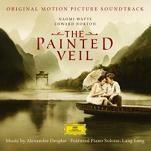 The composer's official web-site is at www.AlexandreDesplat.net. September 11 - this is the film with 11 directors from different countries telling 11 stories related to the fateful events of that day in 2001, Desplat did the main theme whereas Gustavo Santaolalla did the segment set in Mexico. The Twilight Saga: New Moon - taking over from Carter Burwell who did the original movie, with Howard Shore scoring "Eclipse"
Moonrise Kingdom - the soundtrack features a number of pieces by Benjamin Britten, including the song from his opera Noye's Fludde "The Spacious Firmament on High" based on Tallis' Canon, and extracts from Britten's Young Person's Guide to the Orchestra based on Purcell's Rondeau and Desplat's own end titles are also done in the style of Britten's "Young Person's Guide to the Orchestra"
Desplat has scored a number of movies for French television in addition to some work on recurring series.